Based on the non-fiction book by Michael Hastings about the US's role in the Afghanistan war, War Machine attempts to be Catch 22 or even Dr. Stranglove but never quite finds the right groove. The film struggles with finding the balance between the story's ties to real life and its attempt at satire. This can be done but it's a fine line to walk and War Machine stumbles in its attempt. 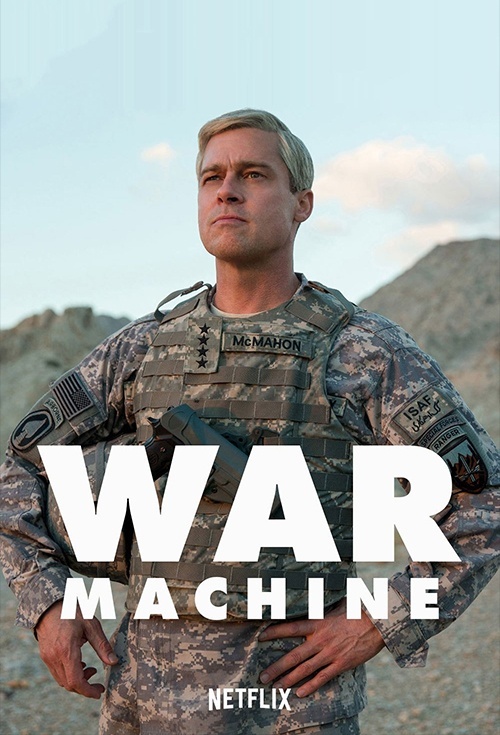 War Machine is an exploration of the business end of war. There is a general sense of ignorance of how wars are fought, organized, structured in the general population and perhaps even in the military as well. The book this is based on and this adaptation gets into the nitygritty of the back room workings of running a war. There is an essential element in a democracy which engages in war in having the public understand how the process of decision making works. But the truth of this is often so unpalatable that the general preference in the population is to remain ignorant. So media which attempts to explore this needs to counter this with a clever engaging entertainment. To make us want to care. War Machine does this through trying absurd humour. But in the way it connects to the historical accuracy it often feels like it is compromising its satirical and humourour approach. And therefore that approach never comes to fruition. The film just isn't as engaging as it needs to be to make its audience get its point. Brad Pitt goes headfirst into his "character" seemingly unaware that the film he is in is holding back. His character feels out of place. His performance would have felt more at home in Dr. Strangelove, as do some of the other performances. This inconsistency between performances and tone of the film takes us out of the movie a few times. War Machine isn't a failure. It delivers its message if you stick with it. But whether it is compelling enough to keep you with it is the problem. There are moments where you can see the potential of this story and what the film could have been. Writer/Director David Michod made a film I loved a couple of years ago called The Rover. I know he had this in him but it just didn't come through completely here.